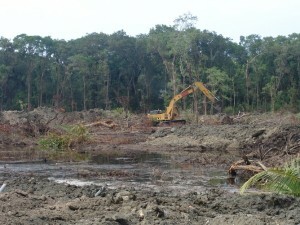 When we think about global deforestation, certain hotspots spring to mind. The Amazon. The Congo. Borneo and Sumatra. And… eastern Australia? Yes, eastern Australia is one of 11 regions highlighted in a new chapter of the WWF Living Forests report, “Saving forests at risk”, which identifies the world’s greatest deforestation fronts – where forests are most at risk – between now and 2030. The WWF Living Forests report, “Saving forests at risk”, identifies the world’s greatest deforestation fronts – where forests are most at risk – between now and 2030. It estimates forest losses for eastern Australia range from 3 million to 6 million hectares, including over a million hectares of Queensland’s native vegetation. Report co-author Martin Taylor says a relaxation in land clearing regulations in NSW and Queensland could trigger a resurgence in large-scale forest clearing, mainly for livestock. Australia is an internationally renowned biological treasure, one of 17 ‘megadiverse’ countries. Our national responsibility for maintaining the planet’s biological diversity is even greater by virtue of the uniqueness of many of our species. Queensland needs to reinstate strong controls on broadscale land clearing, including regrowing native vegetation. 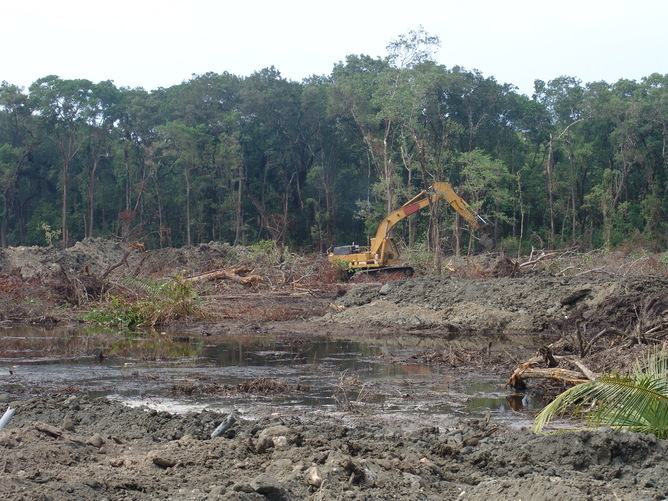 The weakening of broadscale land clearing regulations has already allowed instances of substantial clearing, and this will increase in scale and frequency over time. Dryland salinity has affected large areas cleared of native vegetation, and the salinity impacts of recent large-scale clearing in central Queensland have yet to be realised. Less than 10% of the original vegetation remains in some parts of southern Australia and south-east Queensland. 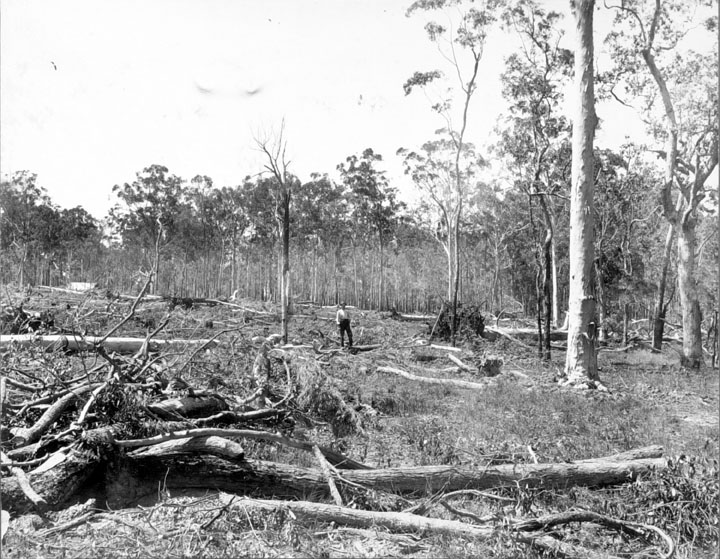 The greatest conservation success in recent times has been the slowing of land clearing, particularly of broad-scale clearing in Queensland. The drought in central west Queensland has left “skin and bone” kangaroos starving to death and too weak to move, residents say. The commercial kangaroo meat industry figures and Queensland senator Barry O’Sullivan both claim kangaroo numbers are out of control, despite population estimates that may suggest otherwise. The data suggests the kangaroo population in regional Queensland dropped from 26.3 million in 2013 to 22.5 million in 2014, a decrease of close to 15 per cent. There are new markets to China and Peru. No doubt this cruel industry won’t stop until they are threatened! Despite the recent rains and coastal flooding, more than 80 per cent of Queensland remains officially drought declared. Queensland agricultural lobby groups have criticised the Labor Party over its plan to reinstate its former land clearing laws. Producers prefer to accept the inevitability of drought than to draw the dots between heavy land clearing and drought! Record numbers of Queensland cattle are going to slaughter as the drought continues to bite hard in the Sunshine State, so it’s growing- business as usual! The Queensland Government is under pressure to stop the bulldozing of tens of thousands of hectares of bushland on Cape York, a move approved in the dying days of the previous Liberal National Party government. The rate of large scale land clearing in Queensland is about to go off the scale unless the Palaszczuk government delivers on its pre-election promise to reinstate strong controls on large scale clearing. The warning from The Wilderness Society follows media reports in May 2015 revealing that clearing has just commenced on 32,000 hectares of World Heritage quality woodland at Olive Vale on Cape York Peninsula. “The Olive Vale clearing is … the largest single permit that we’re aware of being granted for high value agriculture,” said Tim Seeling of the Wilderness Society. Conservationists argue that Olive Vale, which is on the Laura River 90 kilometres west of Cooktown, is home to 17 listed threatened species and a nationally important wetland, including the Gouldian Finch! 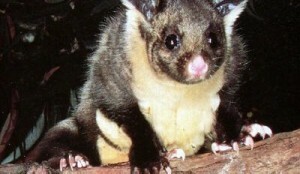 For yellow-bellied gliders and other species dependent on large tree hollows, it doesn’t matter how much money is spent if hollows continue to vanish from the landscape as a result of land clearing. The most pronounced declines in koalas are in southeast Queensland, where urban development has destroyed and fragmented large areas of high quality Koala habitat, with resulting increases in mortality from vehicle collisions, dog attacks and disease. In the past 20 years, there have been substantial population declines in southwest Queensland and central Queensland due to drought, heatwaves, urbanization and land clearing. It’s 25 years since prime minister Bob Hawke promised to plant a billion trees across Australia, the first of many ambitious schemes to reverse the destructive toll of broad-scale clearing by farmers. In 1995, Queensland premier Wayne Goss announced a plan to preserve 90 per cent of his state’s remnant native vegetation. Hawke’s billion trees were never planted and Keating and Goss were thrown out of office before they could fulfil their promises. The re-acceleration of land clearing in Queensland puts the state on the world stage – and not in a good way. We are still in a Colonial mind-frame of desperate clearing of “messy” native vegetation, and environmental destruction, all for the economic model of production, profits and feeding an expanding number of mouths! It’s time to stop the razing of our landscape for short-term profits, at the expense of the long-term impacts of destruction.